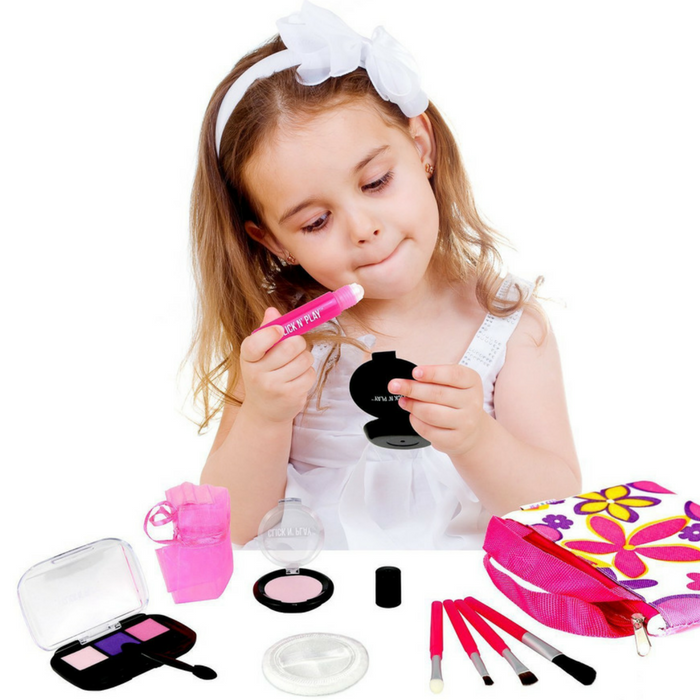 Pretend Play Cosmetic And Makeup Set With Floral Tote Bag Just $11.04! You are here: Home / Great Deals / Amazon Deals / Pretend Play Cosmetic And Makeup Set With Floral Tote Bag Just $11.04! At Amazon, you can score this Pretend Play Cosmetic And Makeup Set With Floral Tote Bag for just $11.04 down from $14.99 PLUS FREE shipping with Amazon Prime or for orders over $25! This makeup set is completely fake, does not apply to skin and mess free yet feels and looks real. Keep your girl busy for hours with this cute activity and is also a great way to encourage creative play and motor skill development. It makes a perfect gift for your girls!